Do you remember the Road Runner cartoons; how Wile E. Coyote chased his nemesis – that pesky bird – and kept on going even when he’d run out of road; how he’d end up suspended in mid-air over the canyon until he realised that there was nothing keeping him up? 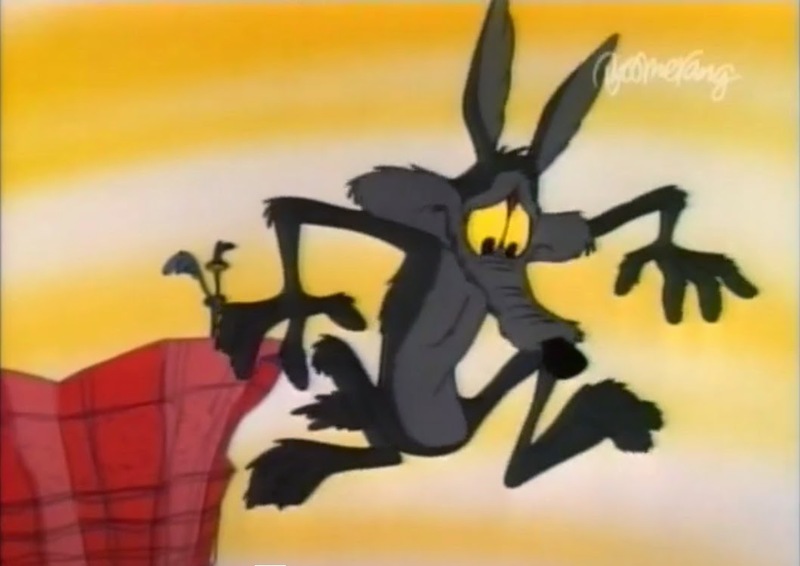 With that realisation, gravity caught up with him and Wile E. Coyote would plunge to the canyon floor far below. Well, that’s rather how I feel at the moment. Since Chris fell ill in July last year, I’ve not had a single ailment. Friends, sounding surprised, have often said: “You look well.” It has surprised me too. Bereavement often brings illness its wake and I’ve been waiting and wondering if and when it would happen to me. Last week in Italy, to bury some of Chris’s ashes at La Luna nel Pozzo, I had a few days to rest. I went to bed early, I got up late, I strolled in the late Autumn sunshine, I dozed in a hammock. And my body finally caught up with me. After a late flight back from Bari I climbed into bed in Folly Cottage at 3.30am. By the next morning, my joints ached, I had a headache and a raging sore throat, a blood blister had sprung up on my lip and I reached for the Echinacea and the Lemsip. OK, so it’s only a cold. It’s still an insult to my over-stretched immune system. I’ve re-arranged or cancelled everything for the next few days, turned up the heating, got the coal and logs in for the fire, and planned a menu of healthy, nourishing food. I’ve decided to look after myself. Not just while the cold runs its course, but as a way of life. Less work, more exercise and fresh air, more time to write. I owe it to myself and it’s up to me now. The good news is that Wile E. Coyote always picked himself up and carried on after he had fallen to the canyon floor. Unfortunately, he didn’t learn from his misadventures and carried on chasing Road Runner as before. I intend to do better than that, but I’ll need to remember that old habits die hard.